Why is Mobile Wallet Adoption So Disappointing? 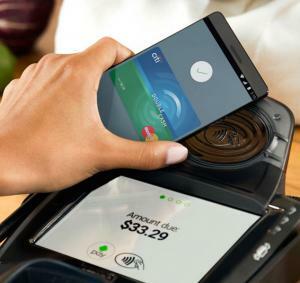 Some Industry Players Weigh In | NFC Times – Near Field Communication and all contactless technology. Consumer adoption of mobile wallets has been disappointing in the U.S. for a variety of reasons, including low awareness among consumers and cashiers, certification problems for contactless-enabled terminals, a low value proposition and perceived security fears among users. The players, speaking on an industry panel at a recent conference in the U.S., also said fragmentation among wallet providers is playing a role in what has been disappointing take-up for mobile wallets among consumers in the U.S. The members on the panel, titled, “Tap, Pay, Done: Cutting Through the Clutter with Mobile Payments,” held May 10 at the Transact conference and expo organized by the Electronic Transactions Association, were speaking about the U.S. market. But wallet providers are seeing a low adoption rate in most other markets where the “Pays” wallets, such as Apple Pay and Android Pay, have launched. That is despite the rosy rhetoric from Cupertino and Mountain View about take-up of their respective wallets. Article has about 2280 words.